You are a Dragon (tatsu) if you were born in 1904, 1916, 1928, 1940, 1952, 1964, 1976, 1988, 2000 or 2012. You are healthy, energetic, excitable, short-tempered and stubborn. However, you are honest, sensitive, brave and can inspire trust in most anyone. You are the most peculiar of the 12 signs of the Zodiac cycle. 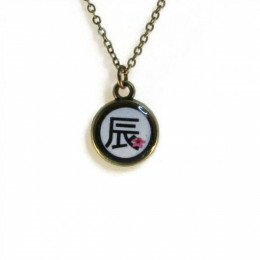 The Japanese zodiac sign collection refers to the Kanji of the Japanese astrological calendar Eto. There are twelve animal names. Have a closer look, and you can see a tiny sakura (Japanese cherry blossom) incorporated within each animal name. 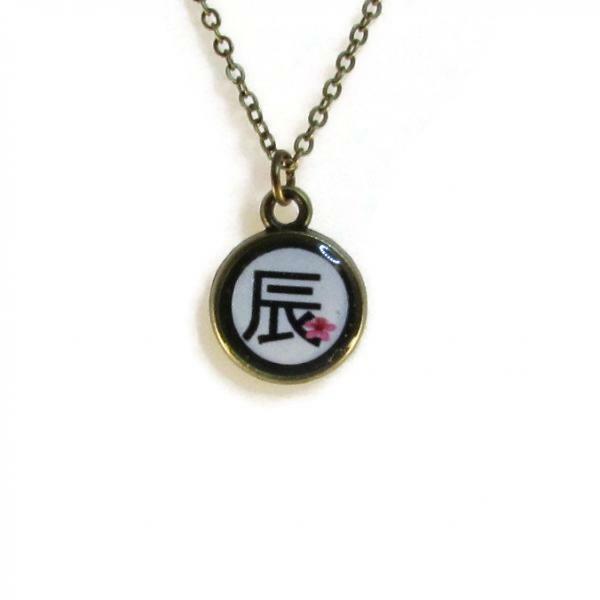 Each zodiac sign is completely sealed and protected in resin. The piece comes beautifully packaged in a gift bag.